Why Tax Lien Investing A Good Business? Tax lien investing is a unique opportunity to acquire excellent rate of return of investment. With such knowledge and skills in doing the business, you can get a great rate of return, but often it takes time. According to CBN, $14 billion worth of property taxes are not paid each year, and a lot of private sectors take advantage of this opportunity to do business through tax lien investing. Moreover, local governments back this up fully because they benefit out of it. If you are interested in starting in this business, I would suggest to start it right so that you can end it right. Start by educating yourself, then make a decision to which property you would like to purchase a lien on. You can choose residential or commercial, improved properties or lands that are undeveloped. Know when, where and how the auction will be taking place by calling your city or county treasurer. As an investor you need also to search diligently. Know the real score of the property because there are times that the lien is greater than the current value of the property. In that case, do yourself a favour and stay the heck away!! In buying tax liens, you need to pay the full amount of the lien right away or before the given redemption time to the issuing municipality to avoid cancellation or any unwanted decision from them. 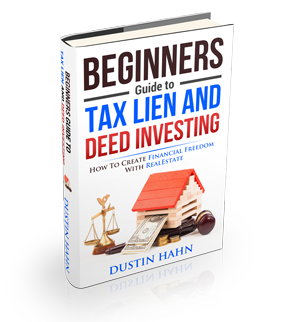 Even though Tax lien investing has a great potential to bring you a high return of your investment, you still need to do your homework as an investor specially if you are a novice one. There are different rules applied to each city or municipality, and I don’t want you to make a mistake that could have been avoided! What do you do about Competitors? Always know that you will have competitors in doing the business… that’s why you need to move fast yet accurate as quickly and as often as possible. Other lien investors are there, banks and hedge funds are always there, and other funds available. But, it’s also a reality that you have to at least get ready. Equip yourself to become knowledgeable enough to start the business so that a great potential of good returns will be accomplished in doing so. If you haven’t already, subscribe to our youtube channel here. We’ve got some steady and brand new awesome content coming out over the next week and onward. It’s going to be GREAT!